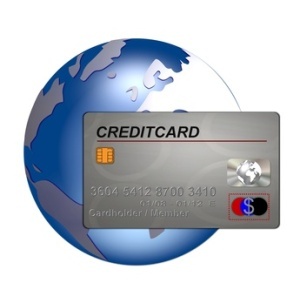 Using credit cards when you are vacationing overseas has innumerable advantages. All purchases you make on your credit card are protected by the Consumer Credit Act, which means that you can get a full refund on unsatisfactory purchases worth anywhere between $100 and $30,000 from either the merchant or the issuer of the credit card. You won’t have to worry about foreign exchange rates when you are using your credit card because you will get the best rates available. Moreover, you can safely conceal credit cards on your person, and even if your credit card is stolen, you won’t lose anything as long as you immediately report the theft to your credit card provider. Using credit cards abroad is safe, but you will have to take certain factors into consideration if you want to get the best deals. Carrying little-known or co-branded cards to your overseas vacation destination is of no use since you won’t be able to use them. You can take as many credit cards as you wish as long as you are sure that they will be accepted at several overseas locations. As far as possible, carry your MasterCard and Visa credit cards. You must have a nice long chat with your credit card provider before you go away. This is because your credit card provider might get worried about your credit card being used to make purchases abroad and might suspend your credit card account for the sake of safety. Inform your credit card provider that you will be going abroad and will be taking your credit card with you to prevent this from happening. Talking with your credit card provider before going away is also important because you have to find out about the fees. Carry only those credit cards that give you good rates for withdrawals and transactions. You might also consider getting hold of a card that is friendly to people who love vacationing overseas. For instance, the Abbey’s Zero Credit Card does not charge interest on any purchase you make abroad during the first six months; moreover, it charges zero ATM fee and zero foreign exchange fees. Check the credit limits and expiry dates of each credit card you intend to take with you. The worst thing that can happen to vacationers overseas is to find that their credit cards have expired just when they are having a whale of a time. If you don’t have sufficient credit limit on one card, you can carry two or more credit cards as long as you are sure of your ability to pay them off in time. Getting the international number of credit card provider before you leave is also a great idea because you can instantly report a stolen card when you are abroad. Using credit cards abroad is safe because they have many in-built security features such as purchase protection. As long as you keep records of every purchase made and stick to your credit limit, you can use credit cards safely and even save money in the process.